When I first agreed to participate in Zero Waste Week, I had totally forgotten that I would be on holiday. 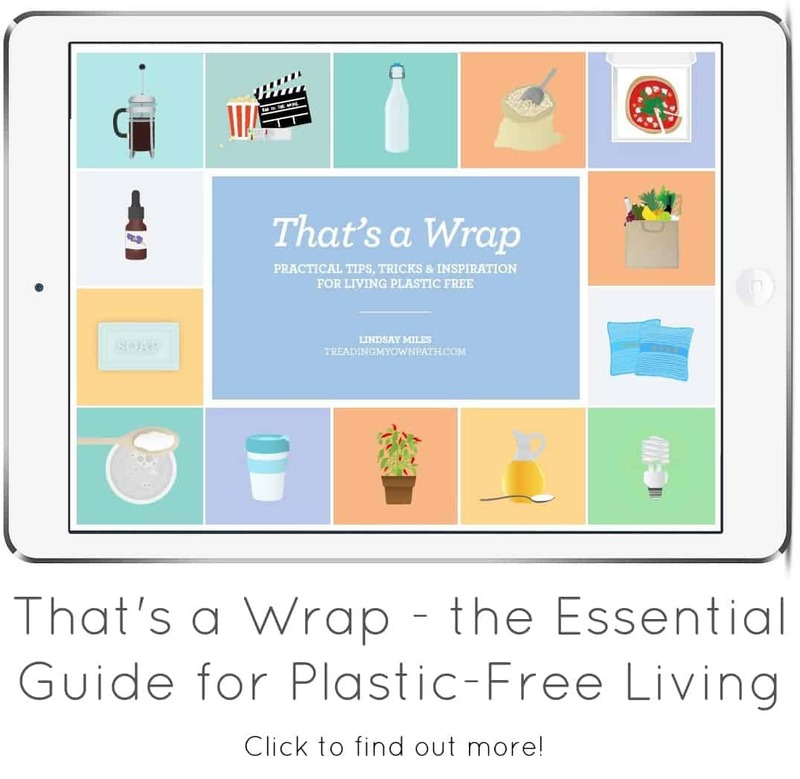 Being completely waste-free isn’t easy at the best of times, but what about whilst on holidays, with all that uncertainty and all those unknowns?! At home with your routines and habits, and you’re comfortable with where to buy the things you need, it’s far easier to plan and make preparations. When I did realise, I decided it would be good to give it a go regardless. Your morals and philosophies shouldn’t change just because you’re not at home! 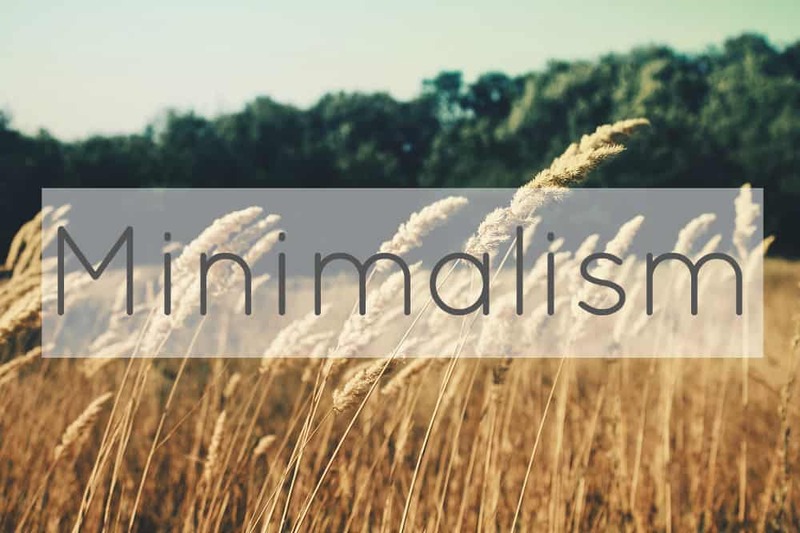 I love a challenge, and anyway, I wasn’t planning on throwing my zero-waste philosophy out the window just because I was on unfamiliar ground…so why not just keep on doing what I always (try to) do? 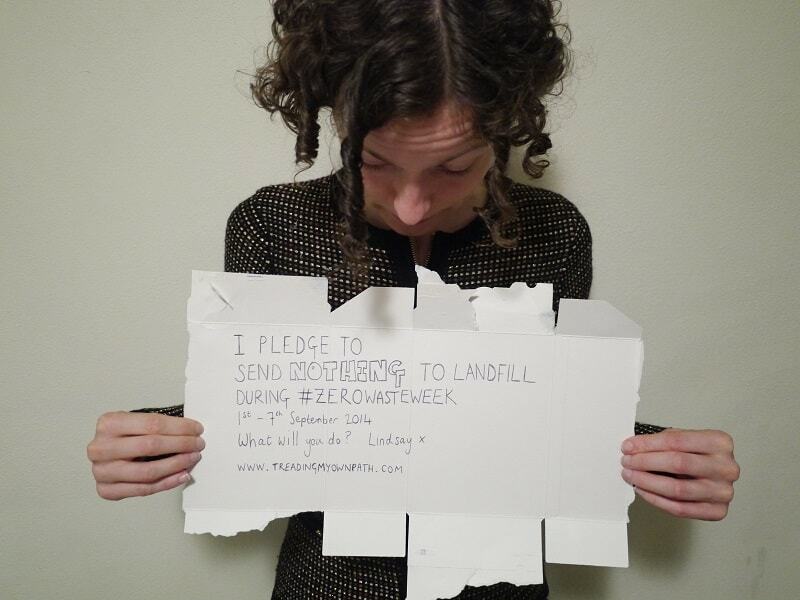 The theme for Zero Waste Week 2014 is “one more thing”, so I wanted to pledge something that would be a challenge – not something I do already – and sending nothing to landfill is my long-term goal. Holidays or not, that’s what I want to be doing! Yay! 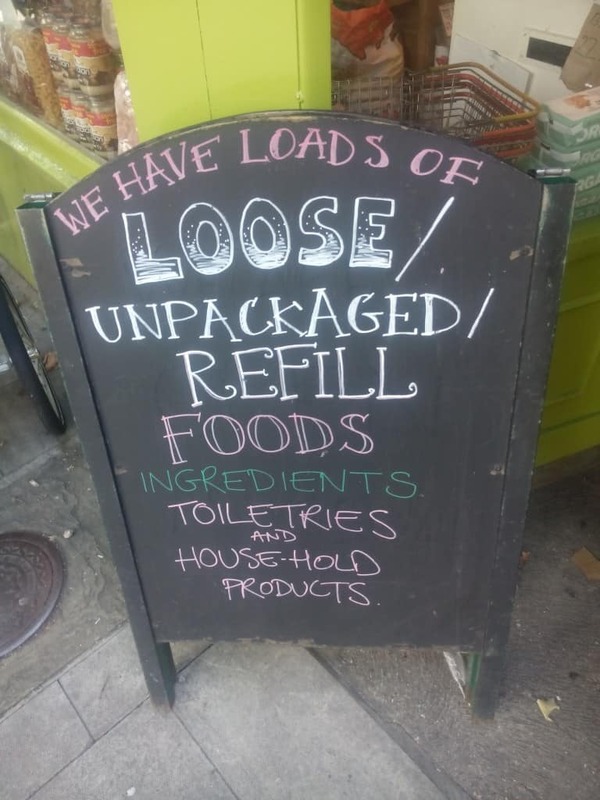 Loose, unpackaged and bulk foods for sale in London right around the corner from where my sister lives (Newington Green). 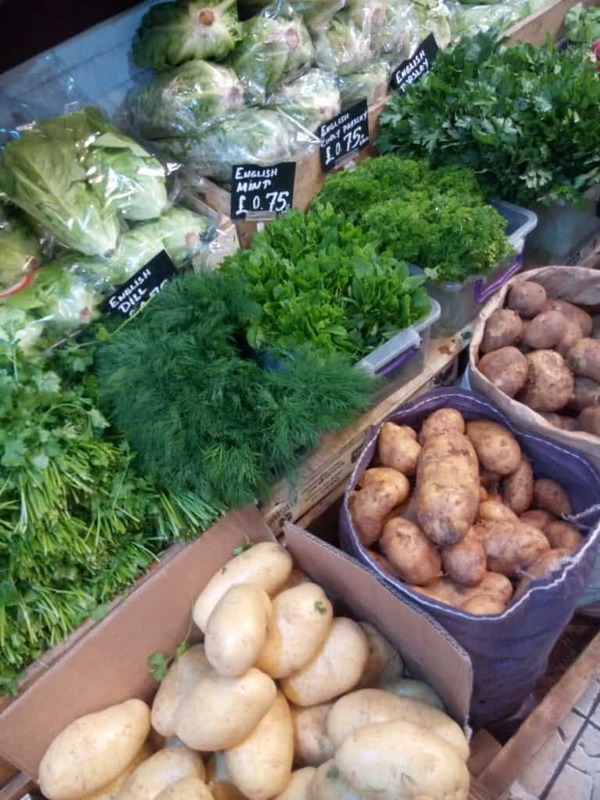 This superb little greengrocer had so much stuff completely packaging-free, including herbs, chantaney carrots, chillies and all sorts of other exciting and exotic things! Bulk bin store and my sister’s first experience of using reusable produce bags. “But prunes are sticky!” then “Oh, you can just wash the bags after.” Yep, it’s that simple! We also ate out quite a bit (I’m on holidays!). That said, I’m always vigilant to refuse any unneccessary packaging, particularly plastic cups and straws, and bags of any kind. I’ve been carrying my metal lunchbox around with me in case I have any leftovers that need to be taken home. Alas, I’m far too greedy for that and my plate is always spotless! 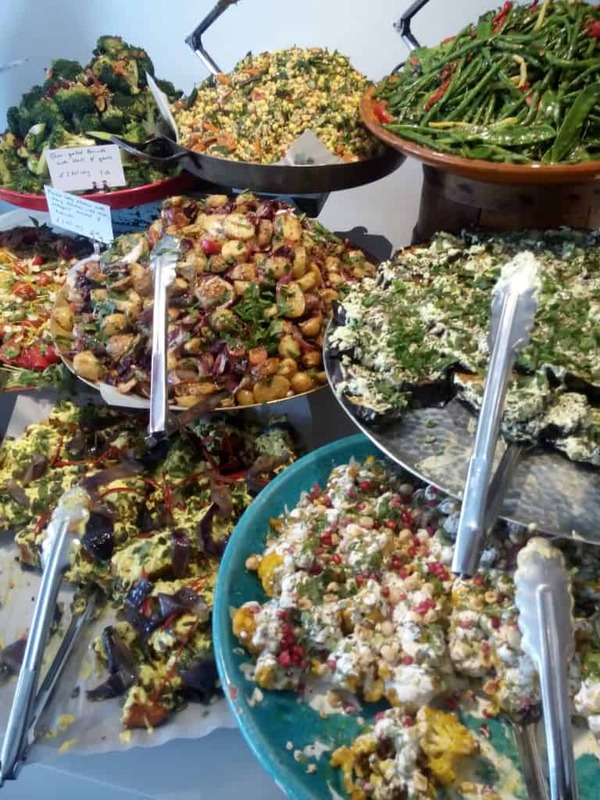 This is the salad selection at Ottolenghi in Islington, London. The salads are offered as take away or for dining in. They are amazing. I went twice in three days (eating in of course!). Mmmm. This was an awesome little pizza place where they use sourdough for the bases. 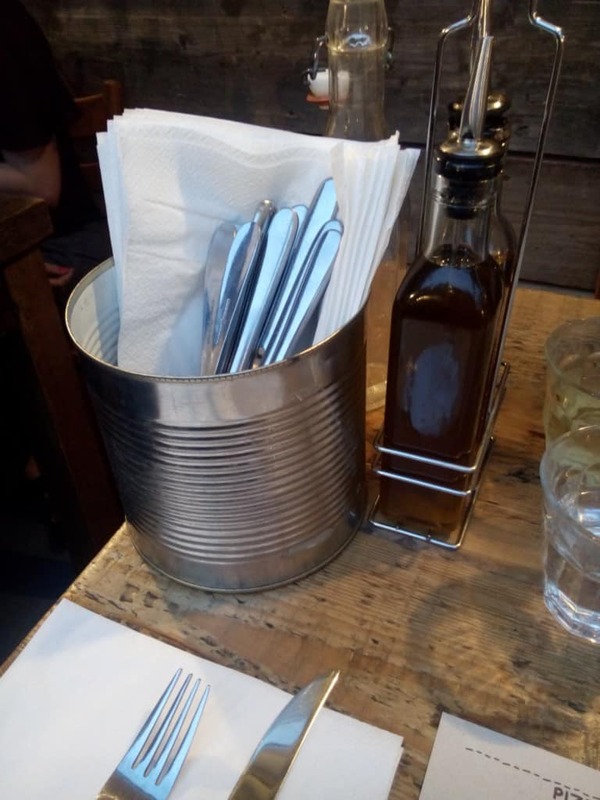 I loved the upcycled tins being used as cutlery/napkin holders, and also the refillable oil and water bottles. 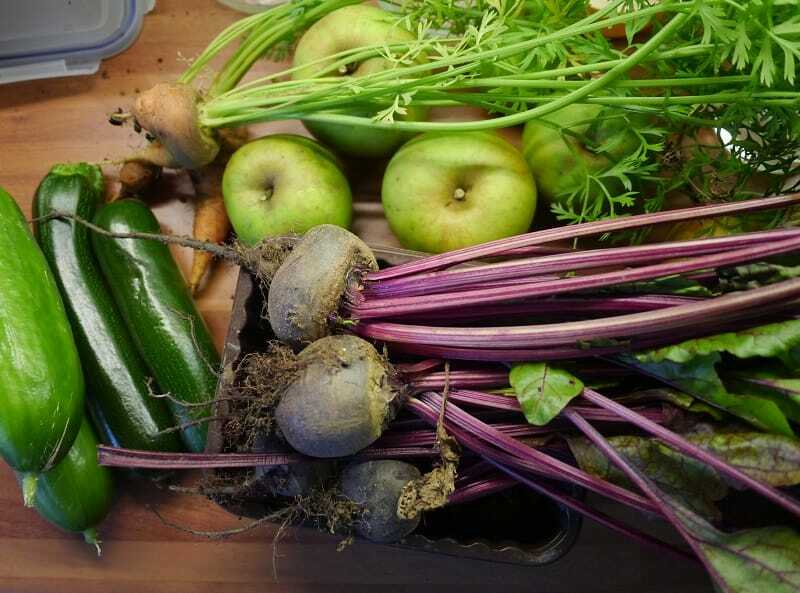 Being able to grow your own and then compost the food scraps is an awesome way to cut down on packaging and landfill waste. I also composted a tissue after blowing my nose, so as not to put it in the bin. Not particularly interesting but worth a mention because my mum was absolutely horrified/disturbed at the idea! I even had to fight to be allowed to put it in the composting bucket! She was quite grossed out by the thought of having to wash it out after when my tissue had been in there. Never mind that it has rotting vegetables, coffee grinds, moldy tomatoes and other stinky stuff in there – it was my tissue that she found the most disgusting! 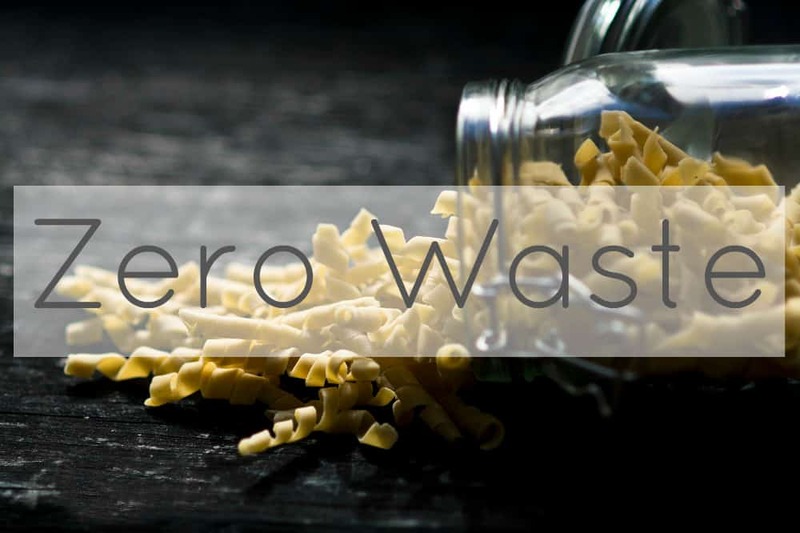 Zero Waste Week: What About the Waste? I was feeling very pleased about how little waste I’ve generated until my sister pointed out that I used some dental floss and a cotton bud at her house, and both went in the bin. I don’t floss because I’m lazy and I can’t find plastic-free floss, but my sister has had a root canal and is keen not to have another one. Staying with her and observing her superior dental routine, I felt guilty about my lack of flossing, so joined in…I didn’t even think about the waste! As for the cotton bud, I just assumed she used ones with biodegradable stems, but the one she has are made with plastic. Oops. She also doesn’t have any composting facilities either, so even a biodegradable one would have ended up in landfill. 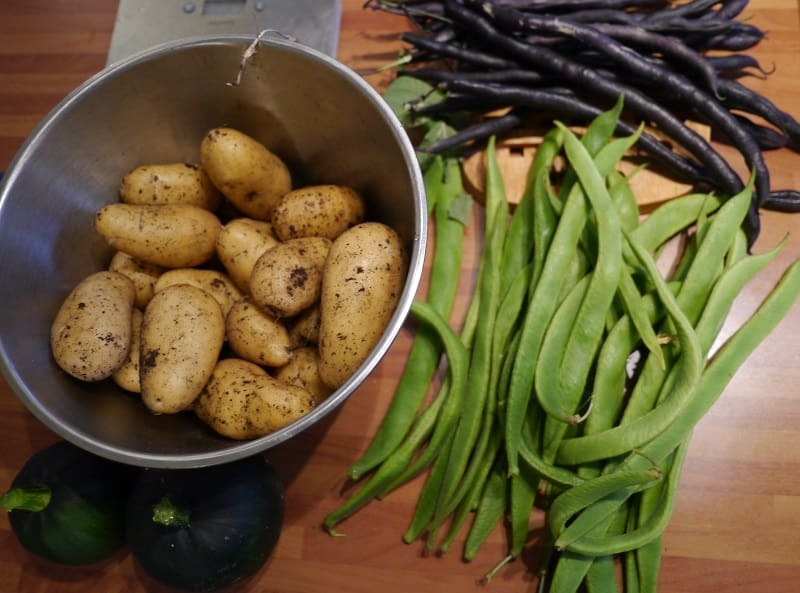 My sister also cooked me dinner on the first night, and the vegetable peelings ended up in the bin, but I didn’t buy the ingredients or make the food (and everything was bought before I arrived), so I don’t think it counts. At my parents’ house, there is a snack cupboard full of plastic-packaged things that I try to avoid, but I confess to eating a few handfuls of peanuts from the open (plastic) bag in the cupboard. And a biscuit from a packet. (And most of a bar of chocolate, but that comes in foil and paper which can be recycled!) Tomorrow I will be better behaved! 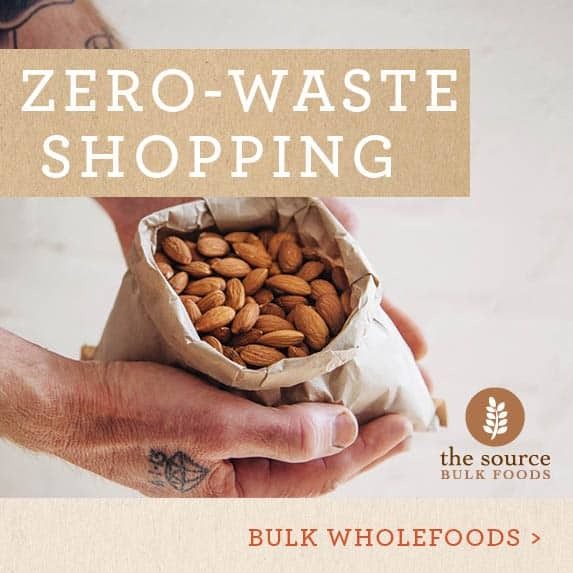 Zero Waste Week has been quite fun so far, and I’ve enjoyed seeing how my family have picked up some of my ideas and my influence is rubbing off. In a place like London it can be quite overwhelming when you see how much rubbish is produced (everywhere, by everyone, all the time), so it’s reassuring to think that it is still possible to take action. After all, small actions taken by lots of people lots of times adds up to making a big difference, and that is what leads to real change. How about you? 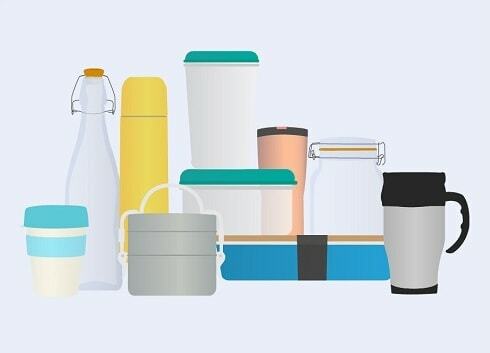 Are you taking part in Zero Waste Week? If so, how has your experience been so far? What about vacations: do you try to keep your standards the same when on holiday, or do they take a holiday too? 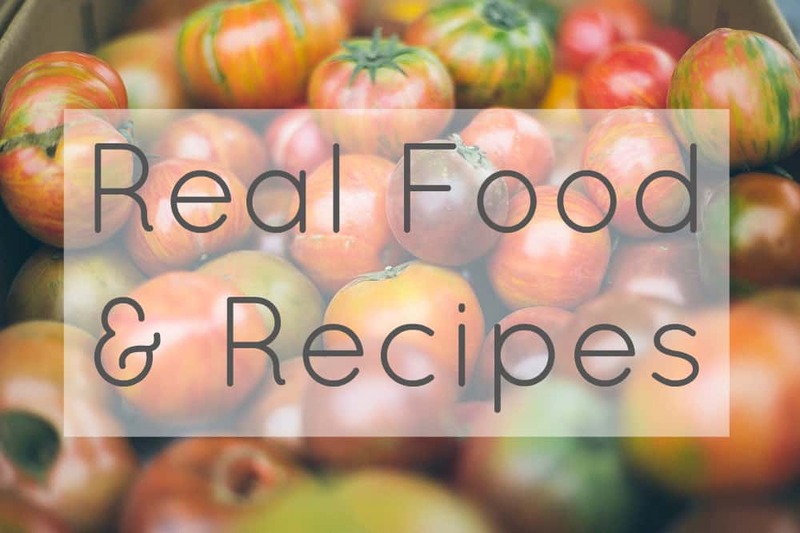 I’d love to hear your thoughts so please leave a comment! I love that your Mum is keeping track of her waste and your sister is being vigilant about what you are throwing away – so good to have that accountability! You’re doing brilliantly, as it’s a temptation to relax and allow our morals to take a holiday along with us, so I’m in awe of you. Love those upcycled tins! Do you mind telling me the name of the bulk store around the corner from your sister? I definitely replied to this but I see that it has disappeared – how mysterious! That’s what comes from trying to blog at public places with dodgy wifi I guess! The shop is called Mother Earth and there are two shops: one on Newington Green Road and one on St Paul’s road, both in North London. 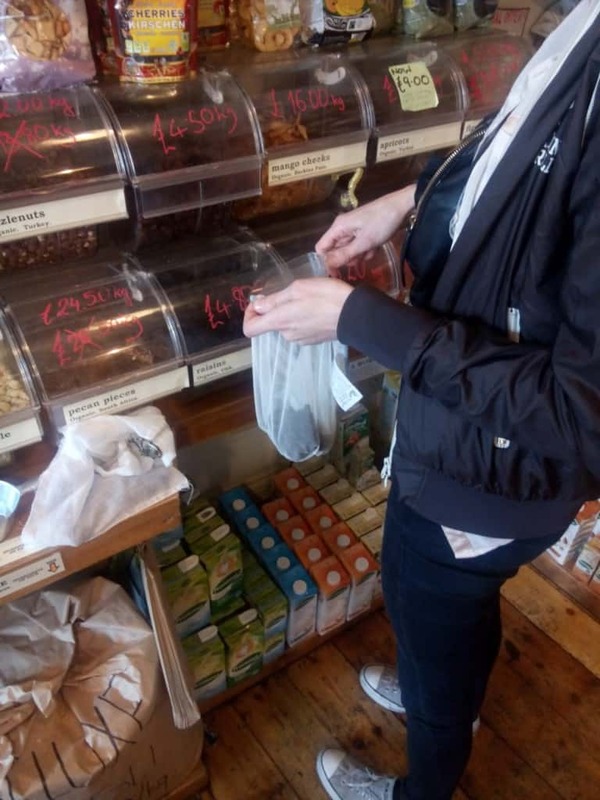 It’s a health food shop with lots of nuts/seeds/fruit etc in bulk, and also bulk refiillable cleaning products! That is true actually – if I need more fillings that will be more waste than a few bits of floss. I don’t know what to do either. I still have some very old floss that I use sparingly, but I probably should look after them better. As for once it’s used, I guess it has to go in the bin. Not really many upcycling opportunities for old floss, I wouldn’t think! Have you heard of/considered reusable metal floss sticks like the dentist uses? My brother uses one. They aren’t gentle, but his is completely plastic free and I think* that all of those metal floss sticks are plastic-free. I know this is like a year old post, but in case you didn’t know about those I thought I’d mention it. What?! Wait…reusable floss sticks?! No! Are they really a thing?! Don’t apologize for being a year along, I appreciate you commenting Courtney! I leave my comments open on all my posts because then years later people can come along with useful info and tips – like you and this! Do you have a link to the kind of thing you’re talking about? Ha, you mum was grossed out by your tissue! Your sister is very fortunate to have that shop so close by, I’d be there all the time. You’ve definitely done your part introducing green livivng to your family. 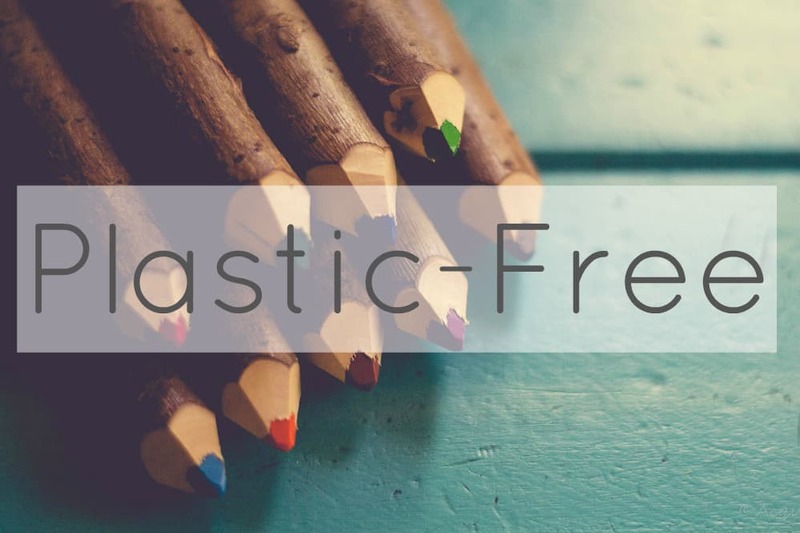 A great post – I loved hearing your experience with zero waste first travelling, but also what your family have picked up from you. 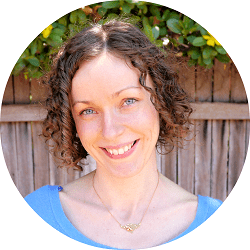 I know my zero waste hopes have rubbed off on at least my mother, and perhaps some friends too! 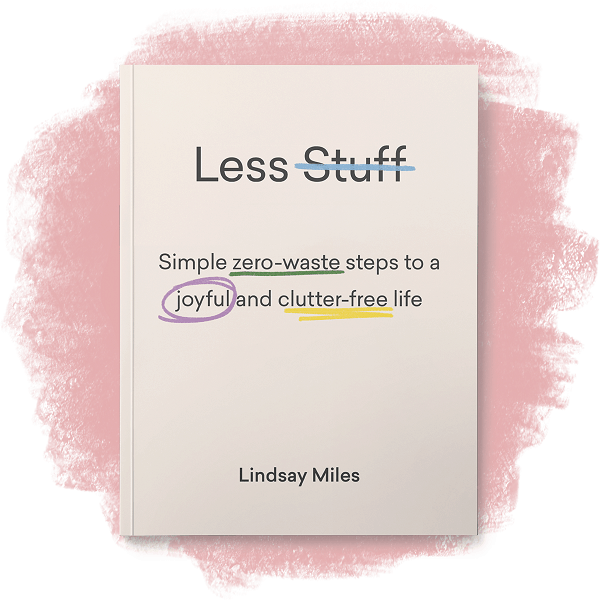 So she’s picked up some zero waste habits, but not the minimalism ones (I remember the cushions for Mothers’ Day!)? Oh, and I love that you have a plan! Good luck with the books! I have the same problem with tissues! I have a complete ban on tissues in the worm farm or compost imposed by the husband. He seems to think that flu germs will survive forever, through the heat of compost and the digestive tracts of worms, and will remain in our soil, diseasing any food we might someday grow there. Clearly, he hasn’t actually said this, because I’m sure he’d realise how absurd it is if he did, but it goes to show how strong emotions and perceptions can be! I’d prefer germy tissues to sit in the compost bin (which gets emptied every couple of days) than our landfill bin (which gets emptied every 2-3 weeks). Although I actually looked into this and apparently viruses can only survive in tissues for about 15 minutes after they’ve dried, so I really don’t see how it matters which bin they go in, unless you take them straight to the outdoor bin! Bahaha, that is funny! I’m impressed that you’ve decided to follow his rules to keep the peace – I would be enforcing the composting of the tissues! You can also worm farm/compost vacuum bag contents – I told my mother that and she was horrified! I don’t usually do that though… I can’t guarantee that there’s nothing non-biodegradable in there, plus dust can contain lots of chemicals from traffic fumes, air pollution etc. Do you think you’ll ever get him to change his mind? !